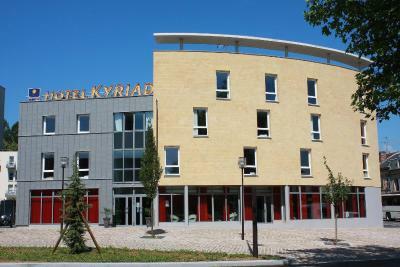 Lock in a great price for Kyriad Charleville Mezieres – rated 8.2 by recent guests! The staff was lovely and helpful. They made the stay even better. The room was well organized and I liked having a kettle available. The bedding is good, especially the mattress. The hotel is quite quiet and well sound proofed. And the window gave me a nice skyview. That was nice indeed. The breakfast was good, and the frozen yogurt machine was a nice, fun and good touch. And the room where it happens is roomy and bright. Also, having access to a parking is a plus. Even it is a bit tight, I really appreciated to have the car protected in the underground parking lot. Overall I had a great stay, and I certainly recommend this hotel. This ultra modern clean and friendly hotel is located very close to the fabulous centre of town, an amazing medieval town square. The guy on reception was really nice, helpful and friendly. He recommended a restaurant in the square, that proved to be great. Thanks. Friendly staff, perfect location, convenient parking lot, comfortable room, excellent wi-fi connection. Free coffee and tea in the room. It really exceeded my expectations. Central location at the Ardennes, convenient for reaching other neighbor cities. Very good location in walking distance to bars, restaurants etc. VERY helpful gentleman on reception. 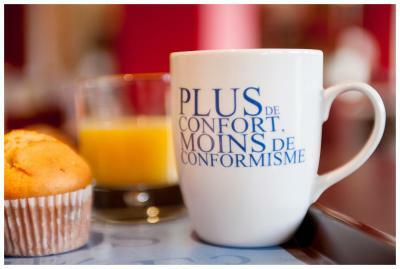 Comfy, air-conditioned room with tea/coffee making facilities. Short walk to good restaurant. Superb and secure underground garage for motorcycle. 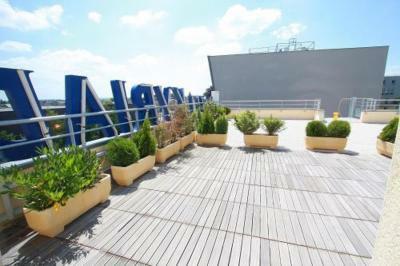 The hotel was very conveniently situated near the centre of town. Our room was clean and comfortable with tea /coffee making facilities. The staff were helpful and spoke good English. Breakfast was good value for money and there was plenty of choice on offer. Parking is available at €7 a night but there is ample street parking right outside the hotel which is free from 18:30 - 09:00. Just down the road on the way to Place Ducale is a great boulangerie with giant pain chocolate. Also tea making facilities provided. Great shower. Located in the center of the city near the Place Ducale and across from a large public parking lot, this Kyriad is open all year long and offers comfortable and modern accommodations. 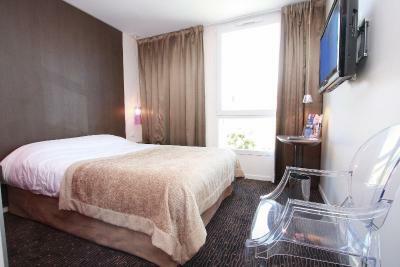 Rooms at the Kyriad Charleville Mezieres are equipped with private bathrooms. 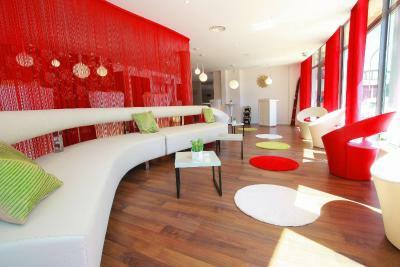 They provide a high standard of comfort and modern living spaces. 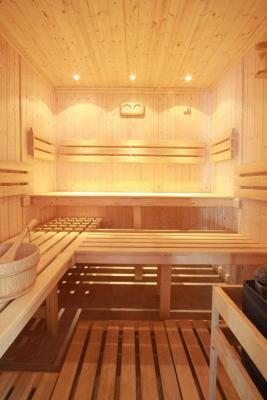 They are all air conditioned and equipped with free Wi-Fi access. The attentive and multilingual staff speak French, English and Italian and will try their best to help you make the most of your stay. 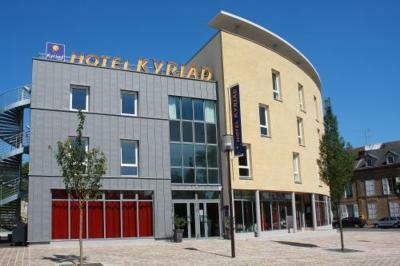 When would you like to stay at Kyriad Charleville Mezieres? 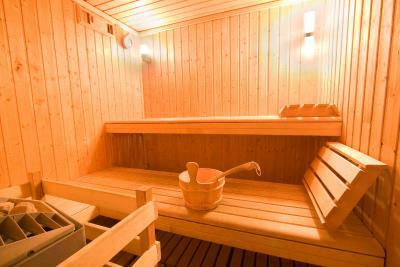 With free Wi-Fi access, this air-conditioned room includes satellite TV and facilities for making hot drinks. 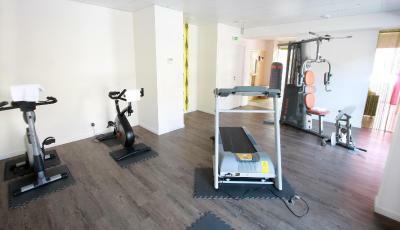 House Rules Kyriad Charleville Mezieres takes special requests – add in the next step! 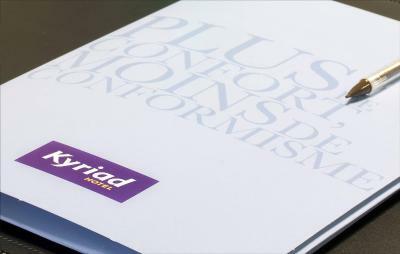 Kyriad Charleville Mezieres accepts these cards and reserves the right to temporarily hold an amount prior to arrival. Nothing, very nice, ideal stop over. Shown into two unmade and dirty rooms prior to getting one which was ready.. Terrible pillows which was a shame as it would've been a great night's sleep otherwise. The ability to have fresh air in the room without completely opening the window. It causes a draught on the left hand sleeper. Secure parking and good location. €10 for breakfast per person did not seem good value so we did not participate after seeing what was on offer, but that was our choice. Great staff. Secure parking underground for our motorbike, worth the extra charge of €7. The rooms have air conditioning which is a great bonus especially when it is 30C outside. The main square was a sort walk away which has plenty of bars and restaurants. A good stop off point to/from Germany, we will visit again. If you visit this hotel have the breakfast it excellent value for money. It is in a good location and staff are very helpful. Nothing to dislike, just little things that I would have appreciated: a small « bar » fridge in the room; access to a microwave in the evening in the « breakfast room », and why not some of that frozen yogurt machine in the evening as well :) Maybe also a change in variety for breakfast. The scrambled eggs were great, so yes to it everyday, but maybe some different cheeses, or pastries, or delis could be a nice addition (but the breakfast is quite nice even though). And maybe a couple of hooks/ or shelves in bathroom would be nice to organize.